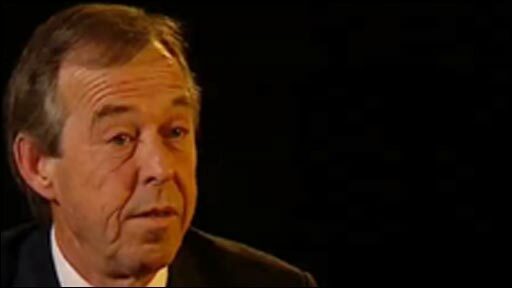 Brian Flynn says he would not press for changes in Welsh football if he was given the national manager's job on a permanent basis. The caretaker boss told Friday's Sport Wales programme that no major changes are needed in order for Wales to qualify for a major tournament. Flynn, 55, suffered defeats to Bulgaria and Switzerland in his two games in temporary charge. "The system we have got in place is correct," he said. The Football Association of Wales are due to give more details on Friday about their plans to make a long-term replacement for John Toshack, who stepped down last month after six years in charge. Flynn has put in an application and is expected to be granted an interview, with an appointment set to be named before Christmas. The former Wrexham boss, who has been involved in Welsh age-group football for the past six years, says: "It's about experience, continuity, consistency and loyalty. "If you've got those four qualities as a manager, then you've got a chance. I've got all four." Asked whether he would attempt to change much in order to get Wales closer to success in qualification campaigns, he insists: "No. The system we have got in place is correct. "It's all about a winning mentality. When the golden opportunities come, you have to take them. "You can't be off balance, you can't mis-time them. Your timing has to be perfect. "Goals win football games and it can be a matter of inches. What did Chris Gunter miss the post by (against Bulgaria)? Two inches? "The ball went under Gareth Bale's foot by what, three inches? That's the difference." Should the FAW decide not to give the job to Flynn on a long-term basis he says he will stay on with the association. "I would be disappointed, naturally, if I didn't get the job. But I've still got my position within the FAW as intermediate team manager to continue with. "That has been stressed to me and I would stay on regardless of who came in." Manchester United winger Ryan Giggs, Stoke boss Tony Pulis, Millwall manager Kenny Jackett and new Sheffield United chief Gary Speed have ruled themselves out of the job. Former Wales trio Ian Rush, Chris Coleman and John Hartson have all expressed an interest in the job. Catch the full interview on Friday's Sport Wales, BBC TWO Wales at 1900 BST.